Prevents plant stress, increases nutrient uptake, boosts yields. Mr Danks’ Special Boost Secret is a tightly-guarded “complex” of L-amino acids blended with a proprietary silanol to provide fast-growing, nutritionally demanding plants with a highly available form of supplementary silicon. Completely pH stable and naturally derived, Mr Danks’ Special Boost Secret was originally developed as part of a research project to help commercial hydroponic farmers in Oman produce stronger crops (primarily cherry tomatoes, bell peppers and lettuce) so that they are able to withstand temperature extremes. After proving invaluable to farmers in Oman over several growing seasons, with increased yields, better flavours and improved post-harvest storage, the formulation has since become a staple of commercial, high-value hydroponic farming across the Middle East. The original formulation has now been optimised and licensed for medicinal oil-producing crops and tested extensively in licensed production facilities in Colorado, USA. Now it is available for the first time ever to hobby and commercial growers in the United Kingdom as Mr Danks’ Special Boost Secret, distributed exclusively by Creation Wholesale Ltd.
Who should use it—and how? All growers using soil, coco or hydro. Designed to be fed to plants via the root system, Mr Danks’ Special Boost Secret should ideally be used from the seedling or cutting stage and throughout veg and bloom. Shake the bottle vigorously before every use then simply add to your reservoir at the dose recommended on the label. You can add Mr Danks’ Special Boost Secret either before or after your base nutrients. 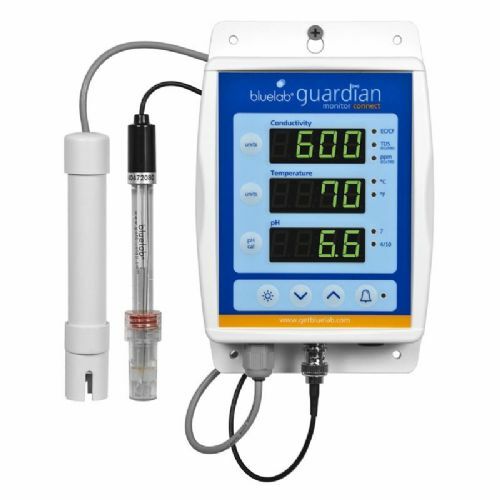 It will not affect your nutrient solution pH. Compatible with all organic and mineral (hydroponic) based nutrient programmes. Discontinue use of any other silicon-containing products otherwise you run the risk of over-supplying this beneficial element. 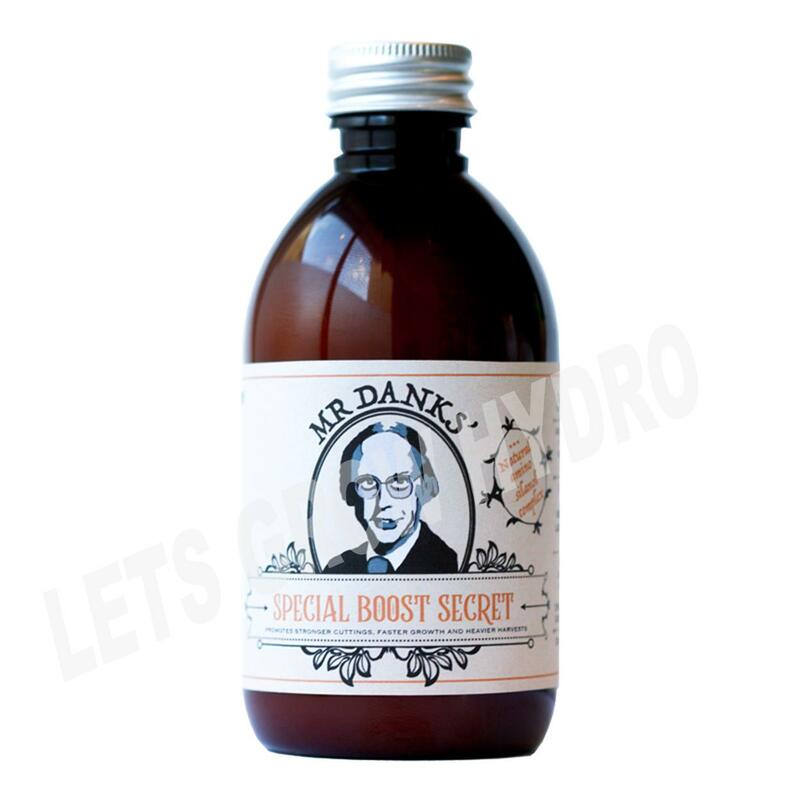 Mr Danks’ Special Boost Secret aids significantly in the uptake of your base nutrients—especially the heavier ions by chelating and transporting them into the plant. The beneficial silicon creates robust cell walls that are more able to withstand environmental pressures, helping your plant focus on thriving rather than just surviving. In this regard it is particular effective with cuttings and seedlings as they move through vegetative development. Mr Danks’ Special Boost Secret will complement your preferred PK booster during flowering (boosting nitrogen, phosphorus and potassium uptake) helping plants access and process these all-important elements during flowering. Stomatal response is increased so plants are able to adapt more quickly to their environment and photosynthesize optimally. Any insider tips or tricks? Do not exceed stated dose! Water culture and bubble bucket growers should use half stated dosages. Use with aeroponic cloning machines is highly recommended! If adding to a reservoir always agitate it with an air pump and air stone. Due to the inclusion of important hydrophobic amino acids, some sedimentation inside the bottle is perfectly normal. Be sure to shake the bottle vigorously before each use. The unique smell (sweaty socks and off-milk) of Mr Danks’ Special Boost Secret is due to natural decarboxylation of certain amino acids included in the complex and is perfectly normal and extremely beneficial for plants. Mr Danks’ Special Boost Secret will not affect your nutrient solution pH, harm beneficial bacteria and fungi or raise EC levels noticeably. Compatible with all soil and hydroponic nutrient programmes. Do not use with other silicon / silicate or L-amino products.